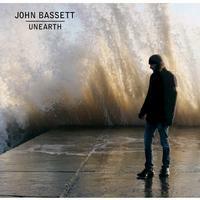 John Bassett is from the band KingBathmat and I love that group. So, I expected to fall in love with this. I wasn’t wrong. The music here is mellow psychedelically based progressive rock. It’s got a lot in common with acts like RPWL, Porcupine Tree, Phideaux and even Pink Floyd. This is a great disc that varies enough to keep it interesting. There are peaks and valleys along the ride, and what a ride it is. There is sort of a folk prog vibe to this. It’s also got some dreamy psychedelia in the mix. This is great stuff. A pretty and quite intricate instrumental section mid-track adds a lot to this, too. Although this is still mellow and dreamy, it’s got more of a pure mellow progressive rock element to it. There are hints of early Pink Floyd in the mix. It’s another particularly effective piece of music. An energetic mellow rock tune, this thing is pretty awesome. It’s still proggy, but it’s also a driving number. The vocal arrangement is soaring at times. Intricate and folky music is the order of business here. This is still trippy and a bit dreamy. The multiple layers of vocals are great. This one has a lot of energy and a bit of a bouncy vibe to it. There are some particularly intricate musical passages and it leans toward jazz at times. This instrumental has many of the same sounds we’ve heard to this point. That said, it also works towards more traditional progressive rock like Yes. There are some hints of Spanish music in the mix, too. It’s another cool piece of music. This comes in feeling a bit like The Beatles. There is definitely a psychedelic edge to this thing. I really love the keyboard solo section on this thing. Mellow acoustic based music, this combines modern progressive rock and psychedelia in a dreamy tapestry. This is the best cut on here for my money. It’s got a great mellow prog arrangement. The vocals lend an otherworldly, dreamy quality. The music shifts and changes and the whole piece is just so cool. It’s the longest number here, too. To some degree comparisons to Pink Floyd would be appropriate, but you would also need to mention thing like Phideaux and Porcupine Tree, too. Whatever you compare this to, though, it’s a great melodic progressive rock piece. Starting with effects laden sounds, this evolves into another psychedelically tinged mellow modern prog piece.